Trying Rogaine…. but not for Hair Loss! Nope, in this case my friends, rogaine is actually a backronym which stands for Rugged Outdoor Group Activity Involving Navigation and Endurance. Quite a mouthful, right? It is also named for the founders of this kind of event, ROd Phillips, GAIl Davis (née Phillips) and NEil Phillips (ROGAINE). Now you might be wondering what a Rogaine actually is, seeing as this is the first time I’ve ever mentioned it. In fact, it was also the first time I’ve ever taken part in one. 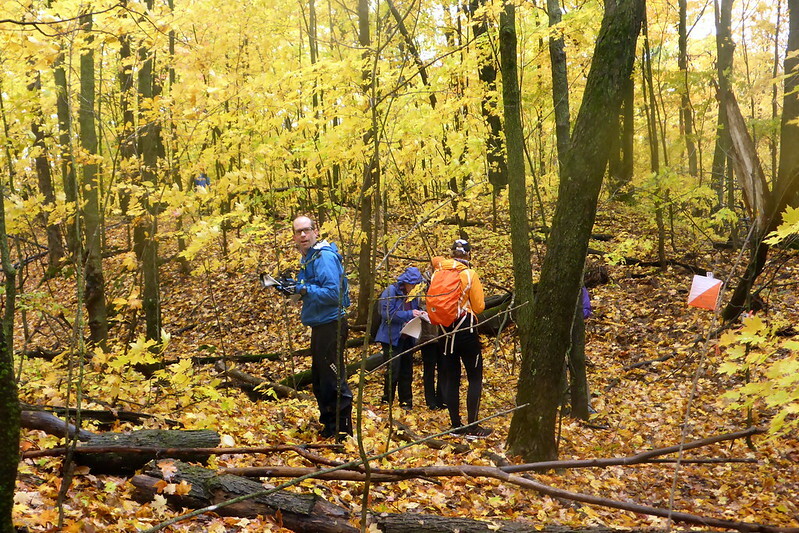 Essentially, it is a sport purely consisting of orienteering (using a map and compass to find checkpoints). It is all done on foot, in teams, in this case a team of 2. You have a given amount of time in which to find as many controls as you can before the cutoff. Each control is worth a set number of points. The team with the highest score wins. Getting all CPs is usually very difficult, and if you cross the line after the cutoff, you lose serious points for every minute. In this sense, the sport is very much in line with what I love about AR, only it is all on foot, and is a matter of pure speed, and route tactics. Read on to learn all about my first experience, and how I did. Along with the customary pictures that I took, I invite you to also watch the video race review that I put together for Get Out There Magazine. Afterwards, read on for my story. As you are all well aware, in the past month, I’ve done a couple pretty hard races, and have had some good luck, but have also been putting a lot of effort into them, leaving me a little tired at this point. I was a little apprehensive to take on yet another race, but at the same time, quite excited to try something new. For a while, I wasn’t sure I’d find a team-mate, but as luck would have it, a very good orienteering friend of mine, John Ranson, was available. His usual partner was out of town for a wedding, and he said he’d be happy to race with me. He’s done many a rogaine in his years, and has even ran numerous orienteering meets. In other words, the real deal. Since he was the one with more experience, I was left to be the extra weight, the meat-bag runner. My role was to follow John, and to carry the CP punch. He was to do the navigation and route choices. I’d have been happy to do it, but also equally happy to let someone else do the thinking, leaving me time to absorb the tactics and shoot video. 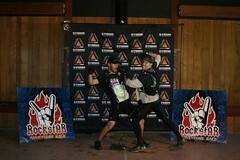 Of course, there was a downside to racing with John. He was hungry for a strong finish. Luckily, we are pretty well matched in the physical department. In the snowshoe races we’ve raced together, we’ve often found each other at each others’ heels, sometimes with me taking victory, other times him. In other words, this seemed like a pretty optimal match of skills. Truth be told, I was also hoping to race well. 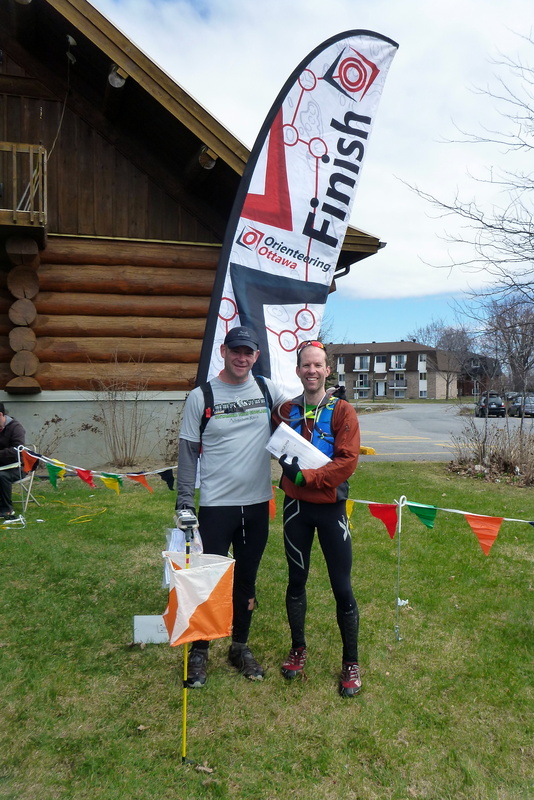 We knew winning outright was unlikely, as some uber-orienteering guy was coming from the Mont Tremblant area. I didn’t know him, but John did and said we had pretty much no chance. Hmpf to that I say! Obviously though, we’d have to run a flawless course to come close. Another goal was simply to fully clear the course. This was sort of on John’s racing ‘bucket list’. He’d come close in other events, but never succeeded. Given our knowledge of the area, and the length of course, it looked possible. 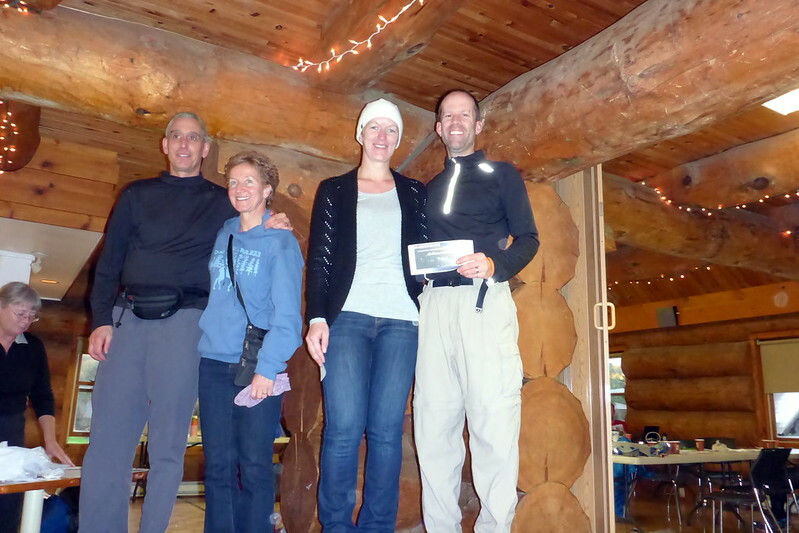 We were racing at the Ark, where all the Mad Trapper snowshoe races take place. As such, we’d been on the trails around here a lot. 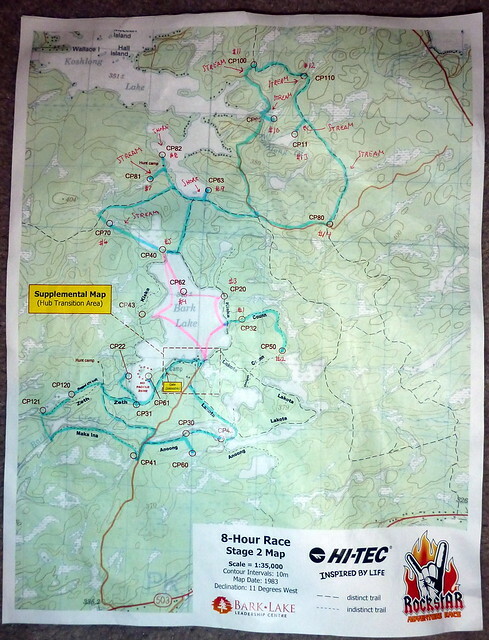 It could give us a slight advantage as we had a rough idea where some of the trails lead. Of course, since most of the controls are buried in the woods, that advantage was likely slight. The number of teams competing was capped at 24, and the time limit was set at 3 hours. 26 controls were scattered throughout the area. In recognition of the slightly small area, another twist was introduced into this race. 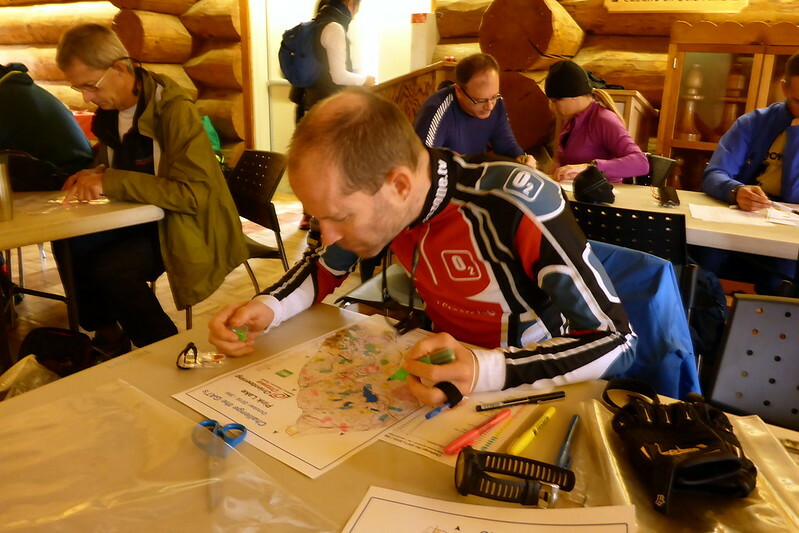 Usually, participants are given some time, anywhere from 5 to 15 minutes before the start, to review the map and sketch out a rough plan for how to tackle the course (you can pick up controls in ANY order). 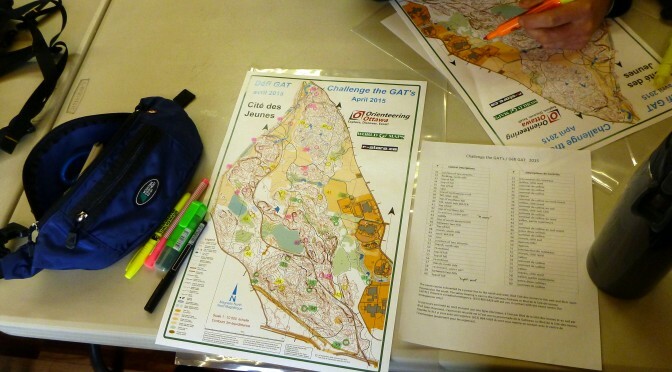 However, in this instance, maps were all laid face down on the grass at the start line. Teams stood by the maps (2 per team), and at exactly 10am, you grabbed the map and started. The plan for attacking the course was determined as you went. We had decided right before the start, that we’d grab the map, and head to the back of the Ark to climb the first big hill right away, grabbing controls as we went. While running to our first control, we stole glances at the map to try and formulate a plan. Things went quite well for us at the start. We hit the hill and were pretty much alone on our climb. Most teams had stopped to do a bit of planning, or took off in another direction to start. I happily ignored the map for the first little bit, concentrating on spotting features for us, and keeping an eye out for controls. Once we grabbed the first one, I started looking a bit more at the map, offering my thoughts on where we were heading, and also validating different features as John called them out or described them. I certainly wasn’t navigating, but I was playing a role. In fact, at a couple different points in the race, I posed a few questions which did lead to us modifying our plan on the fly. I was happy to be able to help out in that way. All the while, we were running pretty hard through the woods. They are pretty open, allowing us to push quite hard. Although we’d been shivering prior to the start, from the first climb to the finish, we were plenty warm. For the most part, we nailed our controls. We made a few little mistakes here and there, often referred to by John as ‘1 minute’ or ‘2 minute’ mistakes to reflect the severity. HOWEVER, there was one control which was our nemesis. 218. If you look carefully at our final score sheet, you’ll see a few outliers in time. 204 and 218 which clocked at 23:21 and 20:29 respectively. Well, the 204 was actually our first attempt at 218, which went wrong for us. Eventually, we grabbed 204 instead, then re-attempted 218 after a couple more controls. We kept making a fatal error grabbing a trail we thought was right, but actually being on a trail probably 20m parallel. It put us in a similar area feature-wise, but with no CP. On our final backtrack, I spotted the right trail, and we easily picked it up. We had all but given up hope, and it had frustrated John, as the course clearing was so close he could taste it. Once we grabbed the elusive 218, our spirits were buoyed. However, we were left with under 45 minutes to get the rest of the CPs. It would be tight, and we had to put our game faces on and work on flawless navigation. We both felt good, and kept up the pressure and pushed hard. There were a couple off the beaten path outliers to grab, and once we had them, it was more open areas where we could really push the pace. The last 3 CPs were in an area familiar to us, and we could taste the finish. With under 15 minutes to go, we hammered hard. We’d get near the CP, and I’d sprint to insert our SI chip while John lined us up for the next run. The final CP, we decided to cut down to a road, double back, and take a major trail, rather than bushwhack. The descent to the road was extremely sketchy, but we made it, and with one more uphill sprint, we grabbed the final CP. We had 6 minutes left, but were not far at all, and only had to run on the road. A flat-out run by both of us, with huge grins and high fives, and we were at the finish line! I inserted the SI, and we had just over 3 minutes to go, and had totally cleared the course. Most teams were already back, and we had no way of knowing how we actually did. Had many teams cleared or only a few? Well, when the dust settled and the numbers were tallied, it was clear we’d done well. Only 4 teams cleared (one coming in just after us, we’d passed them on the final CP), placing us in a solid 3rd overall. The winners? Well, they finished well over an HOUR before us!! 2nd place maybe 15 minutes before us. So I guess John was right about the 1st place team. 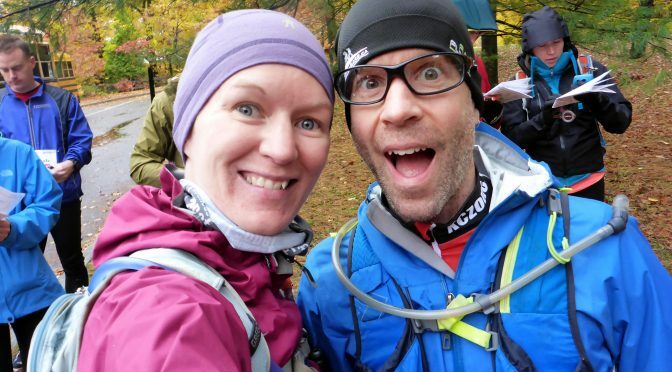 As for 2nd, it was our friends Carolyn Connell and her boyfriend, who’d had a great race too! To make things even better, the finish line was alive with tons of teams chatting and comparing race strategies. Oh, and the FOOD!! Corn on the cob, chips, salads, hamburgers, and pop to bring us all back to life. The weather was absolutely stunning, with the sun now beating down on us. We sprawled out in the grass enjoying the food and company of other racers as we awaited the awards. We didn’t get anything for our 3rd overall, nary a mention, but we were still grinning from ear to ear. Apparently John is willing to race with me again, and was trying to recruit me for an 8 hour rogaine on October 24th. Sadly, I’ll just be arriving in Montreal from Morocco, and unable to do it. Too bad, as I think we’d also be a good match for that length of race. 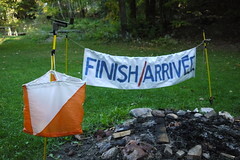 I really enjoyed the rogaine, and can definitely see me doing more of those and/or orienteering meets. I’d of course also like to try my hand at doing the navigation, since I really like bushwhacking and taking a bearing. It’ll likely have to wait though. This sort of event is also extremely accessible to all, and gets all sorts of people and families out. Given it’s resemblance to geocaching, albeit with a compass instead of a GPS, and the fact that you have to race, I think Deanna might actually enjoy it. 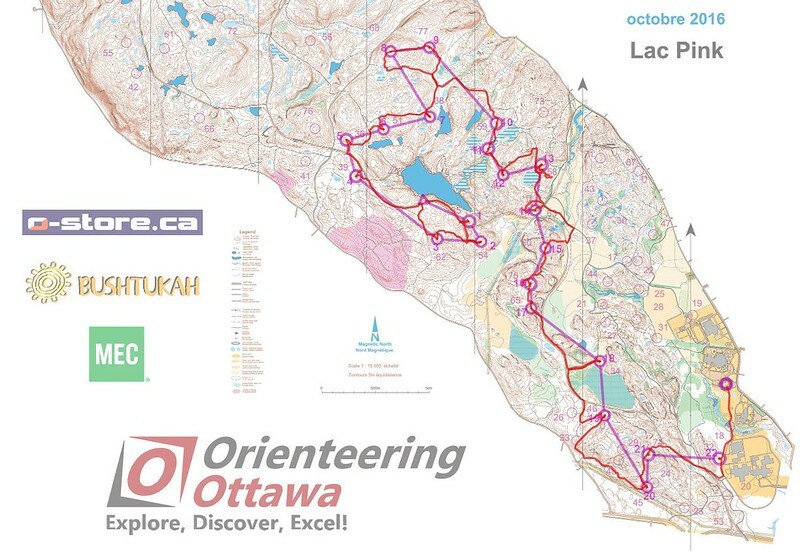 Perhaps we’ll get out to a meet in the fall with the Ottawa Orienteering Club…. they have plenty of events. Anyone else up to try something new? It’s a great way to spend time outdoors! That’s it for me this week. I have one more big event in the ‘summer schedule’, then I’ll take a little downtime for myself, to recharge and recover a bit. Then, before you know it, it’ll be ski and snowshoe time!! Oh, and fondue and raclette 😉 Till then, race hard!